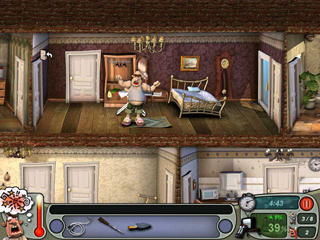 Neighbours from Hell Compilation Game - Download and Play Free Version! 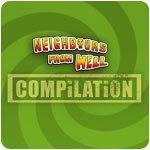 Living next door to you is a real Neighbour From Hell and it's now time to have your revenge! Creep around your neighbour 's house performing ever more elaborate tricks upon the unsuspecting resident. 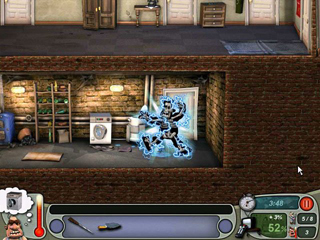 As the star of a fantastic new TV show, cameras will track your every move as you set your fiendish traps. Your objectives are to create more and more disarray, increase ratings and maybe even winning prestigious awards. But beware of watchful neighbors and alert guard dogs; if they catch you then the show will be taken off air. The neighbour from hell wants to enjoy an undeserved holiday - reason enough for Woody and the camera team to sneak along onto the cruise liner to make the nasty neighbour's holiday a living hell. This time, the neighbor's mum has joined him, and she is taking good care of her baby.